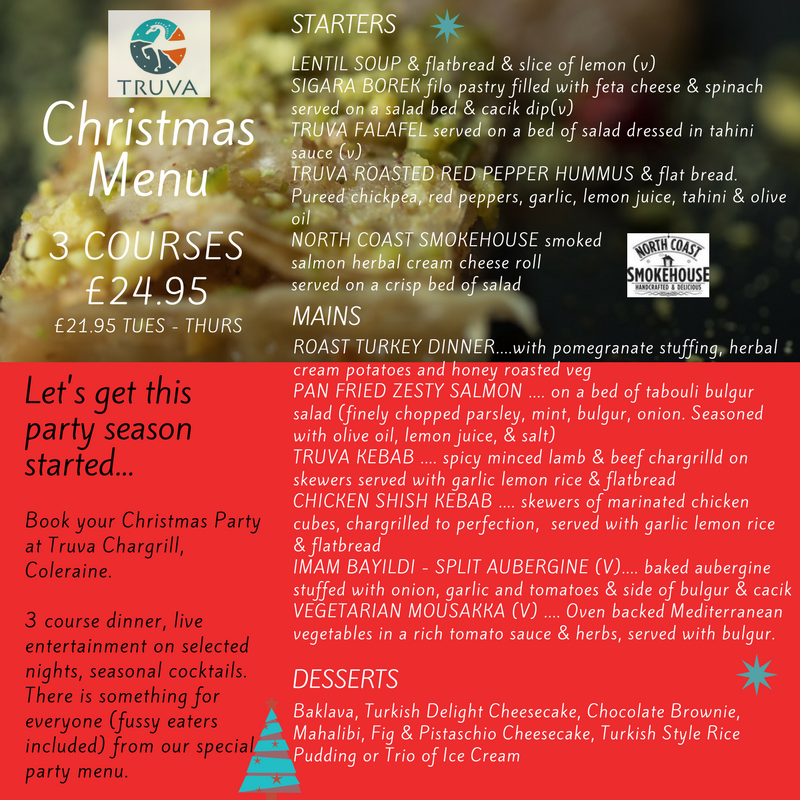 Truva Chargrill the perfect location for your Christmas Party. 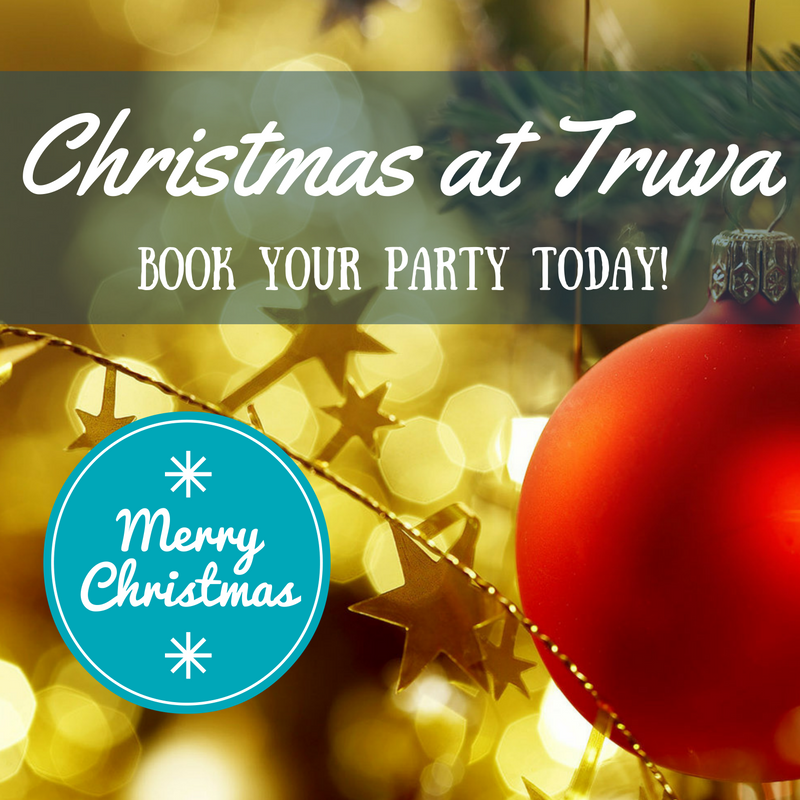 Whether it's the annual work party or just an excuseto get together with a group of friends we guarantee and fantastic night at TRUVA Chargrill. This year we have six special party nights planned for the Christmas season with live music or belly dancing. Looking for something a little quieter, book a party Tues, Wed or Thurs in December and pay just £21.95pp. Truva is also available for exclusive private parties, contact us directly for more details, just fill in the booking form below.